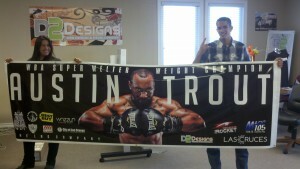 Banners are an inexpensive yet extremely effective method to convey a message. Our standard banners are full-color, digitally printed on a durable 13oz or 18oz reinforced vinyl banner material. Banner material comes on rolls that are up to 54” (4½ ft) wide and ALL banners come hemmed and with all the grommets to make installation a breeze. If you require a banner with special requirements or larger than 54″ tall, please do not hesitate to give us a call. 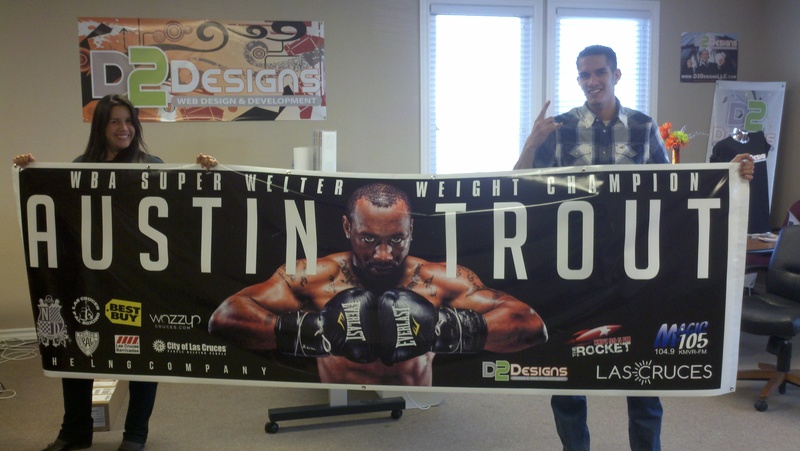 We can sub-contract super-large banners to fulfill ALL your banner needs. Their portability and light weight make them ideal for advertising your message out in the field. This product is not to be used as a long-term signage alternative when used as exterior signage. Whether you’re at a trade show or supporting your local team a high quality banner from D2 designs will surely get your brand noticed.